Loud noise in the workplace doesn’t just affect employees’ ears, it can seriously impact the company’s bottom line. Find out how your company may be losing money, and how to make sure loud noise doesn’t turn into lower profits. Loud noise in the workplace can lead to misunderstandings, or unheard instructions. When instructions aren’t clearly understood, accidents are more likely to happen. Loud noise combined with unprotected ears leads to decreased communication, which leads to lower productivity. And lower productivity leads to lower profits. Payouts for hearing loss are part of the Worker’s Compensation Act in all states. Payouts don’t just cost the company when a claim is made, but they result in higher insurance premiums, leading to lower company profits in the future. When employees can’t do their jobs effectively – or are missing work altogether because of hearing-related issues – the result is the same: an ineffective work environment that leads to lower productivity, decreased employee morale, and ultimately, a lower bottom line for the company. A loud workplace doesn’t automatically mean the company is doomed for lower profits. Employers can implement policies and programs to make sure the workplace is safe, and employees’ hearing health is taken care of. Enlisting the help of an experienced audiologist can ensure that all employees are correctly using the proper hearing protection for their jobs. 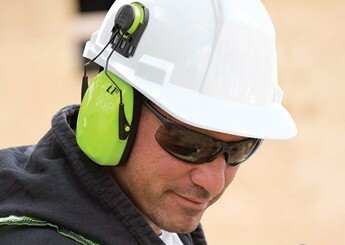 Proper hearing protection means better communication between employees, and lower rates of job-related hearing loss. The result is fewer workplace accidents, fewer worker’s compensation claims, and lower insurance premiums. It may seem counter-intuitive that paying for hearing tests for employees will increase profits, but the fact is that regular hearing screenings help maintain good hearing health for employees. The long-term payoff is that hearing problems are detected and treated early, leading to better overall employee health. Healthy employees remain productive, engaged and loyal, contributing to higher profits for the organization that takes care of them. Boost your bottom line and company morale by ensuring your employees’ hearing health is properly protected. A little investment into good hearing health can lead to a big return in company profits down the road.